The average walk or trip to the dog park can get repetitive and boring. Are you looking for a new and fun activity to try out with your dog? Luckily, there are so many interesting hobbies you can experiment with, many which you can also bring your dog along to! One of the newest trends is doggie yoga or “doga.” While it may seem a little silly at first, it actually has many benefits. 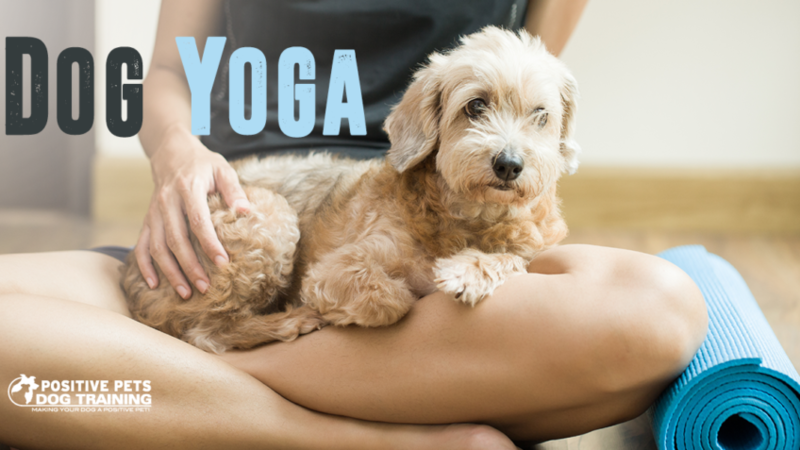 You get all the perks of yoga, but you also get to experience this mindfulness with your dog. Check out some more info on doga and how you can get started today! There are two main types of doga. One is your normal yoga class where you perform yoga, but your dog is there with you socializing with other dogs. The other kind of doga is where you actually assist your dog in performing yoga poses as well. These poses can be modified no matter what type of dog you have and will strengthen the bond between the two of you. You might be wondering, why would I bring my dog to a yoga class? The general idea around yoga is to forget about all your outside worries, be in the moment, and work on your sense of oneness. As a pack animal, your dog is very concerned with unison and oneness, making yoga the perfect activity for them. Obviously regular yoga has many benefits for humans. But doga gives you and your dog so much more. Not only does it strengthen your bond, but it also builds trust between you and your pup. Beyond that, it helps improve circulation, range of motion, relaxation, and stimulates stress relief. If your dog is hyper or anxious, doga can help them mellow and relax. If you can’t find a studio near you for doga, you can always do it at home yourself. Start off slow and don’t force your dog to do anything they don’t want to or physically can’t do. For chair pose, sit on your feet with your dog directly in front of you on their hind legs while you hold them up. Raise their front paws in the air so they can stretch upward. Sit in the cross legged position with your dog in front of you. Place one hand on their heart and one hand on your own. Close your eyes and practice focusing on your breathing, a main technique in yoga. This pose is basically just child’s pose with your dog. Have your dog lay on your mat in front of you. Get into child’s pose, except inside of putting your hands and head flat on the mat, put them around your dog. Turn your head and rest on your pup’s back. There are many more poses you can try with your dog. Just make sure you are running everything by your vet to confirm your dog is healthy enough. Have fun!